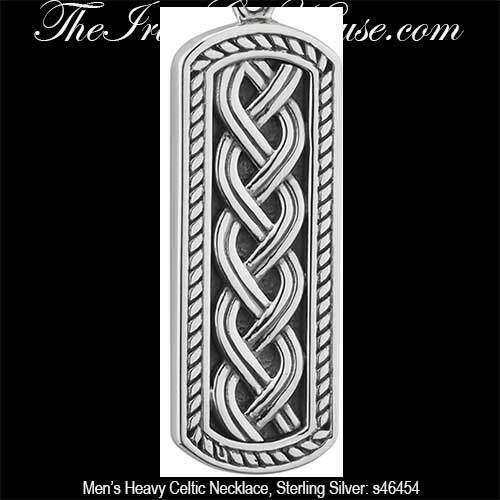 Celtic necklaces for men are fashioned from stainless steel along with sterling silver or pewter that will provide years of hardy use. 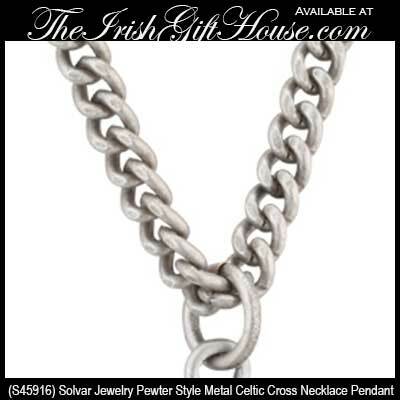 The men's Celtic necklaces at The Irish Gift House feature Celtic crosses along with the Trinity knot and the Tree of Life. 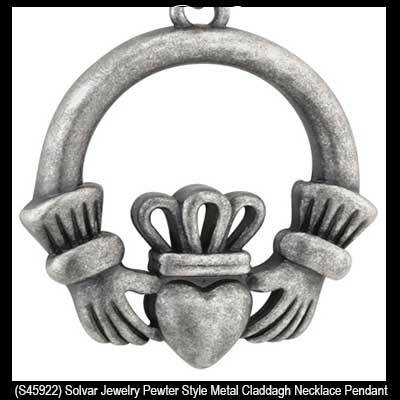 We also feature heavy necklaces that depicts the Irish Claddagh. 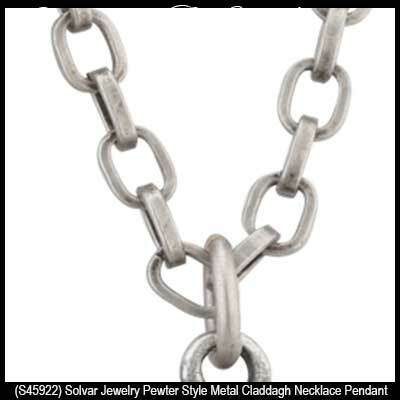 You will find that each pendant in this assortment features a sturdy chain to complement the design of which many are part of the Celtic Man Collection from Solvar Jewelry. 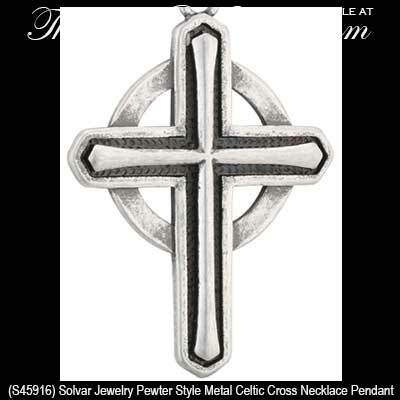 Please note the links below for additional categories of Celtic jewelry for men that include rings and bands along with Celtic crosses. 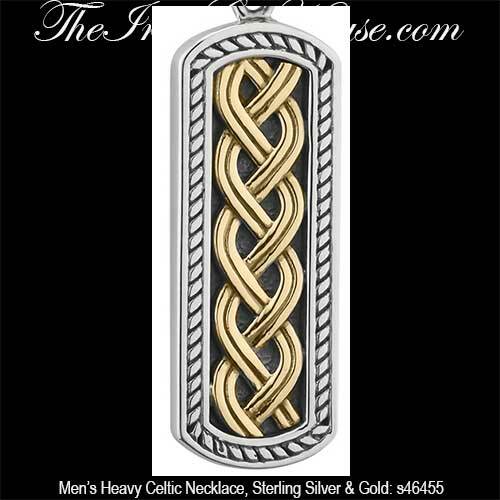 Celtic necklace for men is a large design that features oxidized sterling silver along with embossed 10K gold knot-work. 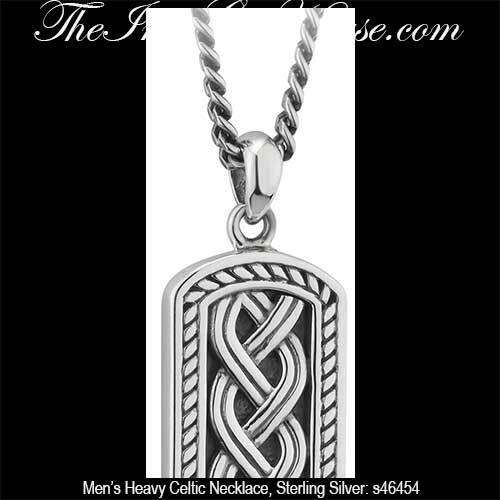 Celtic necklace for men is a large design that features oxidized sterling silver along with embossed knot-work. 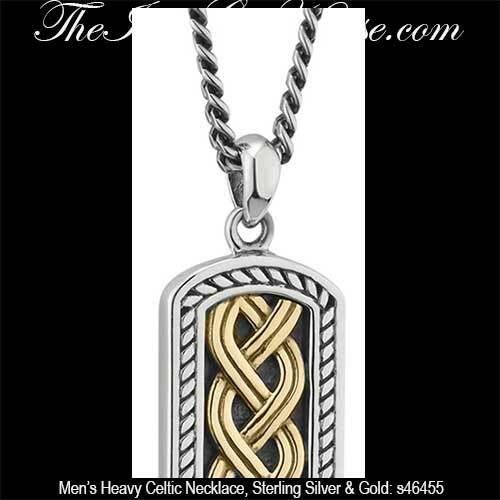 Celtic necklace for men features a large sterling silver Claddagh that is enhanced with 10K gold embossed Celtic knot-work form cuff to cuff. 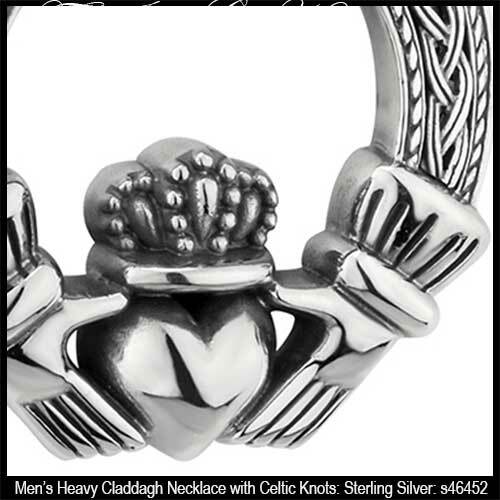 Claddagh necklace for men features a large sterling silver pendant that is enhanced with embossed Celtic knot-work form cuff to cuff. 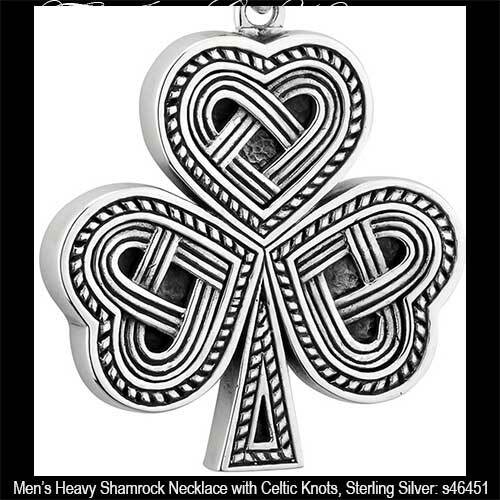 Celtic necklace for men features a large sterling silver shamrock that is enhanced with embossed knot-work along with oxidized accenting. 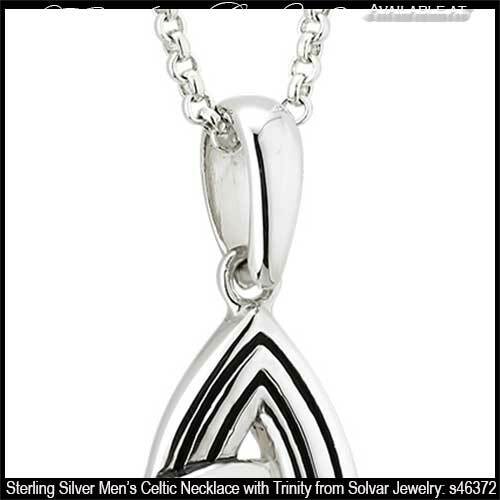 Sterling silver Celtic necklace for men features a large and heavy Trinity knot design. 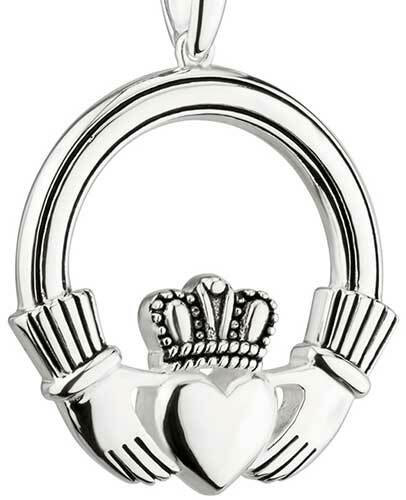 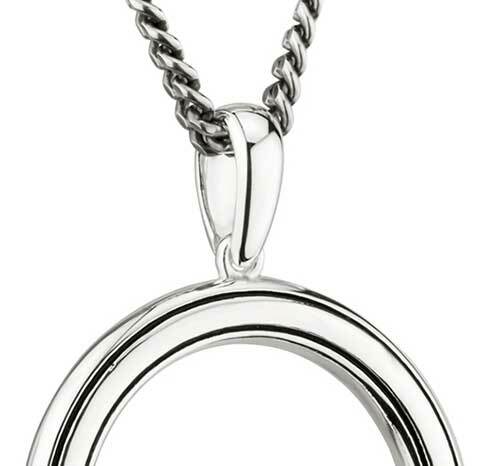 Men's Claddagh necklace features a large sterling silver pendant. 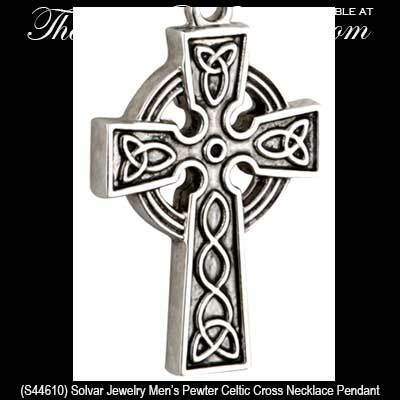 Celtic cross necklace for men is made of a rugged pewter based metal. 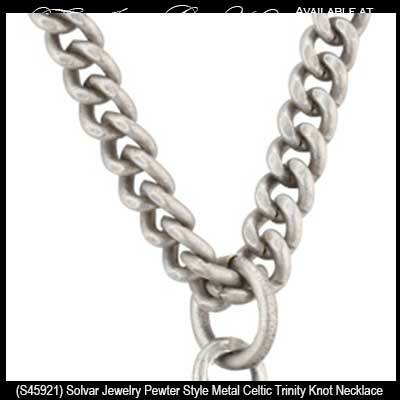 Pewter Celtic necklace for men is a large Trinity knot design. 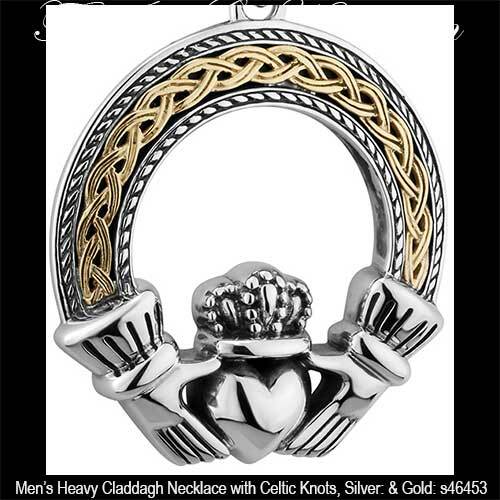 Celtic necklace for men features a large Claddagh icon that is crafted in pewter. 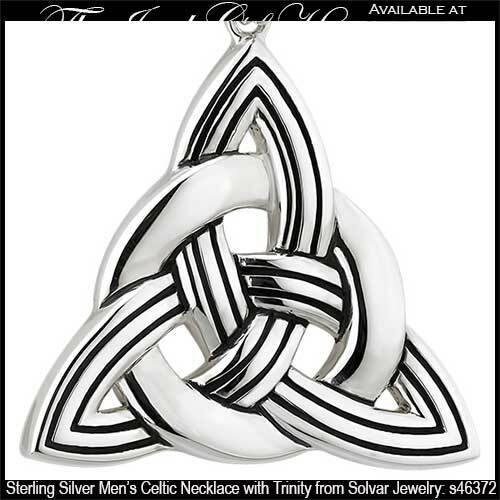 Masculine Celtic necklace features a pewter Tree of Life that is enhanced with Trinity knots. 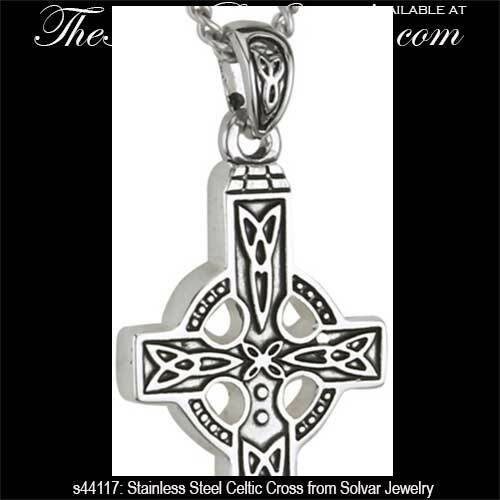 The Irish Gift House wishes to let you know that we also have a generous section that features Celtic cross necklaces for men that includes larger pendants in sterling silver along with gold . 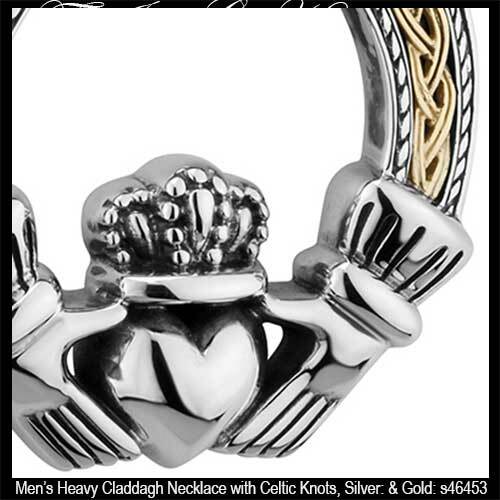 Other popular areas of our site with manly jewelry include the men's Claddagh rings and the Claddagh bands. 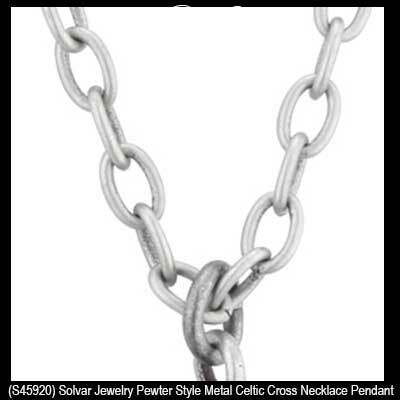 Both of these sections have designs that are crafted in either silver or gold and some of the pieces have combinations of both metals. Naturally, we also have a complete line of men's Celtic bands; these bands are appropriate as wedding rings or they may be worn for any reason at all. 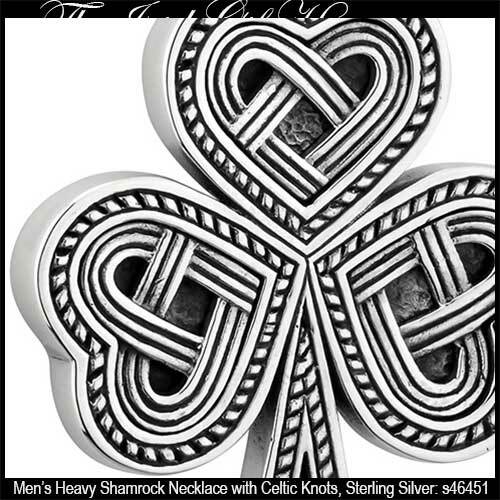 Take a look at our selections of sterling silver Celtic wedding bands and the silver and gold Celtic bands along with our Trinity wedding bands and the large selection of Celtic knot wedding bands.